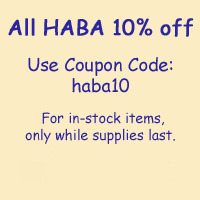 HABA 3893 – Entertainment for the smallest ones whilst travelling! 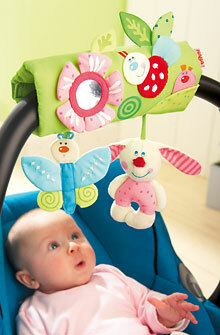 The mobiles can easily be fixed to the bar of the infant seat so babies can discover, watch and hear many things. Loop&hook fastener. Material: cotton/polyester, velours. Dimensions: unfolded 7.4” x 9”.